Requires OSX 10.11 (El Capitan) or higher. Read the release notes here. Thanks to Areo's crafty use of image proxying, it takes just 4 seconds to load and process a 1.15gb DTM. You'll be navigating the data faster than you can say "Coprites Chasma". With full 3D navigation, you can easily view your model from any angle. And with Areo's Teleport/Roam modes you can jump around the model instantly. Or slowly, perhaps pretending you're a meteor. Areo will also load any downloaded textures, allowing you to switch between them in real-time! Or, replace them with images of your choosing (e.g. cats, or something more technically relevant). Plus the Altimetry mode allows you to easily visualise the data's vertical range. Once you've decided on the proxy level/poly count that suits your needs, Areo can quickly export a UV'd OBJ file of the current model for use in other 3D applications. You can even export the IMG file directly to disk, saving on precious, precious RAM. In a few clicks, Areo allows you to generate fully 3D-printable models that can be easily uploaded to your 3D-printing service of choice. Hold Mars in your hand today in only 5-8 working days! Currently, downloading HiRISE data for use in Areo is a manual process, as documented below. However, my hope is that a future version of Areo would present a gallery of available DTMs directly in the app, alongside previews of the associated 3D model. Any required files could then automatically be downloaded upon opening that specific DTM. 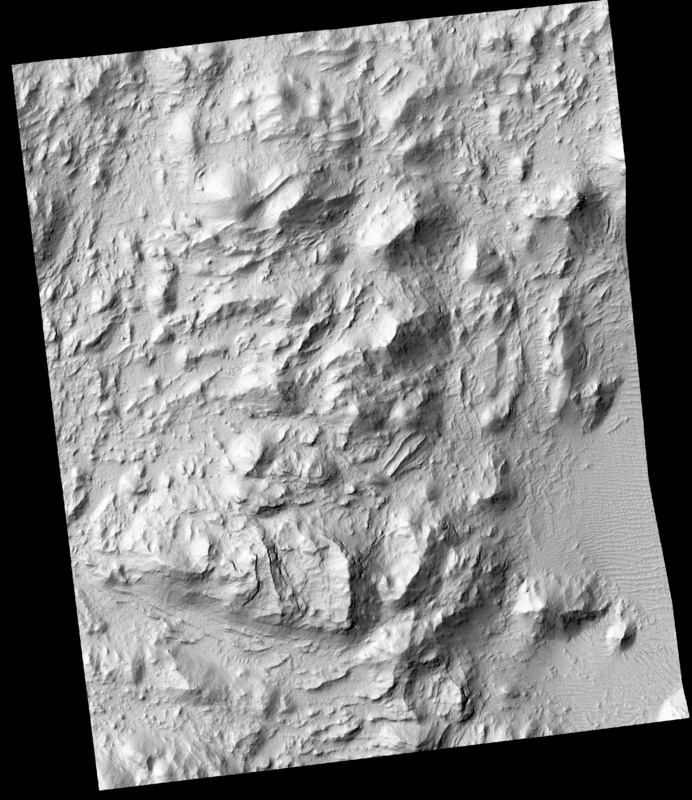 Head over to the HiRISE Site's DTM section. You'll be presented with a gallery of nearly 400 multi-coloured images to choose from. Select the DTM you wish to work with. After choosing your DTM, you'll be presented with a list of associated files to download. First, download the file in the top-left with the prefix DTEED. This is the file Areo uses to generate the 3D model. For the textures, download the Shaded Relief image towards the bottom of the DTM EXTRAS section. You can additionally download the related Annotated Browse images for use as a Camera Texture.